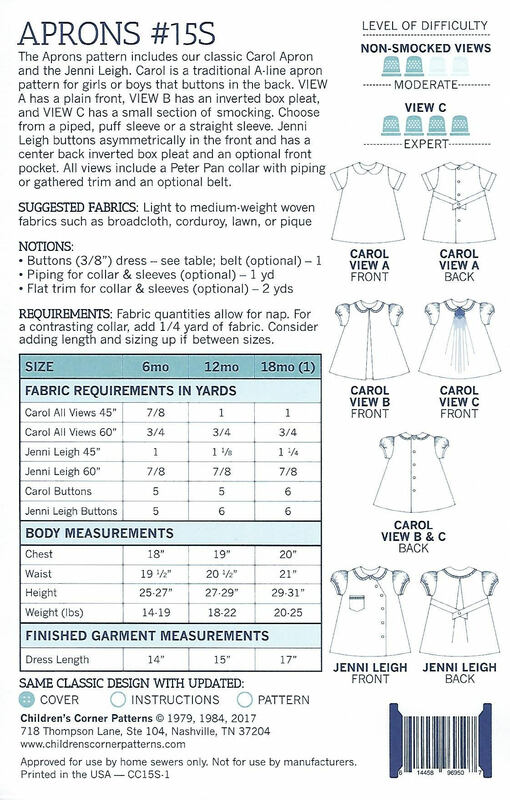 The APRONS pattern includes the classic Carol Apron and the Jenni Leigh. 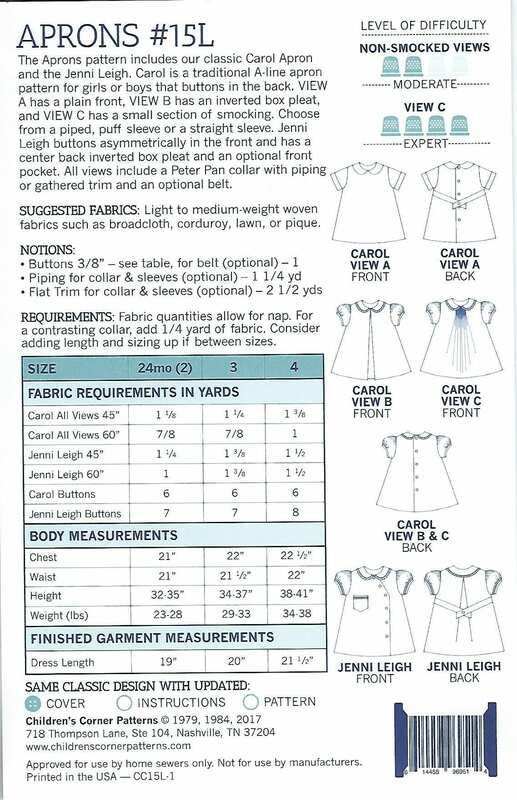 Carol is a traditional A-line Apron pattern for girls or boys that buttons in the back. 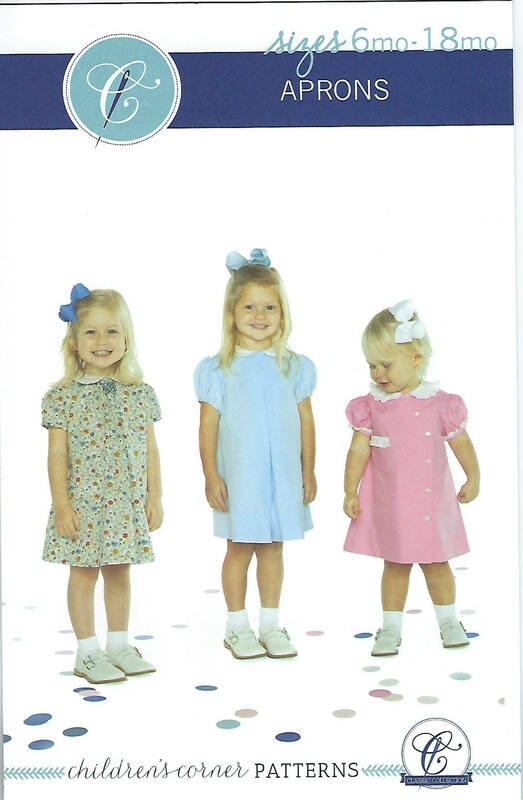 View A has a plain front, View B has a inverted box pleat, and View C has a small section of smocking. Choose from a piped, puff sleeve or a straight sleeve. Jenni Leigh buttons asymmetrically in the front and has a center back inverted box pleat and an optional front pocket. 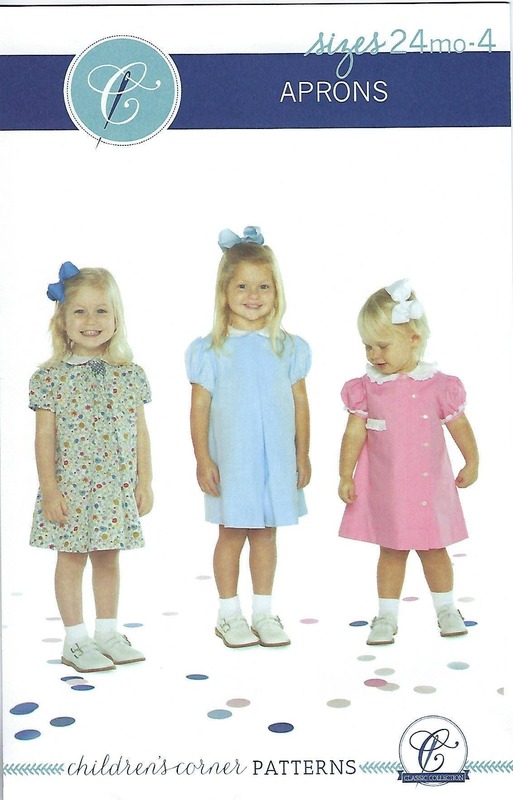 All views include a Peter Pan collar with piping or gathered trim and an optional belt.